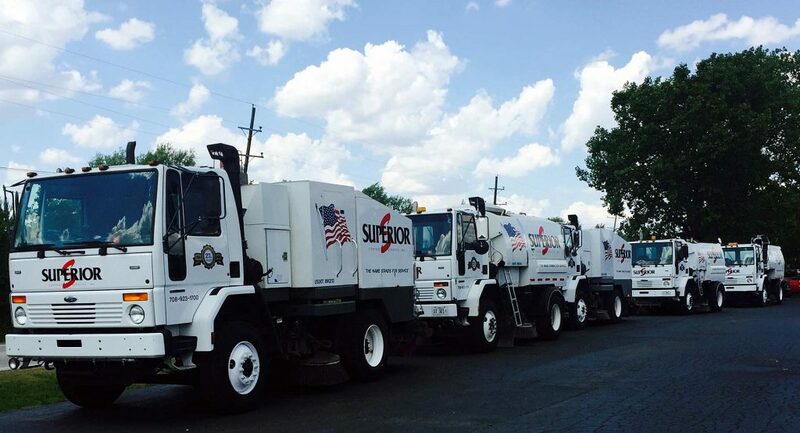 Milling Sweepers | Welcome to Superior Contractors Chicago: "The Name Stands For Service"
Superior Contracting Services, Inc. provides power sweeping for milling & paving on highway construction, county roads, and municipal streets, . Our goal is to be seamless to the milling and paving process. We view ourselves as an extension of the milling machine and a quality enhancement to the paving machine. We believe that milling & paving sweeping is the most difficult type of sweeping project for a sweeper and its operator. The sweeper has to be extremely heavy duty and in good condition, and the operator must have a high degree of competence and training. A significant component to sweeping milling & paving projects is having an operator who is alert, communicates well and is properly trained in the entire process of milling & paving. Safety is always a concern for Superior Contractors and milling & paving projects only add to that concern for us. This is particularly the case on heavy highway projects where traffic control, being alert and knowing the job are critical to a safe work environment. We are extra careful on these projects and only use properly trained operators who have safety consciousness on their mind. We also realize the importance of outfitting our sweepers with the proper safety equipment, which includes strobe systems and arrow sticks on the sweeper. Additionally, we install high-intensity lighting for visibility on jobs performed at night. Safety is a significant component in training our people and we view this to be as important as a properly prepared road surface. At Superior Contractors, a significant portion of our milling & paving projects are scheduled with less than 48 hours’ notice, so we know that we have to be able to react. In addition, our scheduled projects are sometimes performed at night. We understand that you need flexibility because our workload is dependent upon how much you – as the contractor – get done. If you are in need of Paving & Milling Power Sweepers, then please give us a call at 708-923-1700 or use the form on this page. When you contact us to learn more, we can answer your questions and get you on our project estimate as soon as possible. Contact Us Today for a Complimentary Contractor Services Consultation.